Murray Guari Trial Attorneys today announced that Attorney Scott B. Perry has been promoted to Partner in its West Palm Beach based, personal injury and wrongful death law firm. WEST PALM BEACH, Fla. - Dec. 28, 2017 - PRLog -- Murray Guari Trial Attorneys today announced that Attorney Scott B. Perry has been promoted to Partner in its West Palm Beach based, personal injury and wrongful death law firm. "We are pleased to promote Scott to partner," said Firm Founder Jason Guari. "Scott has demonstrated a commitment to Murray Guari traditions of hard work, grit, and overall excellence in legal representation for our clients." Firm Founder Scott Murray added, "We are extremely pleased by the leadership and initiative that Scott has shown. He is a talented young lawyer who will continue to use the experience, skill and work ethic he has demonstrated - since joining our firm - to achieve the best results for our clients." Perry joined the firm as an Associate Attorney in 2012 and during law school, he worked as a Law Clerk for the firm where he assisted the attorneys with legal research, preparing motions and pleadings, and in overall pre-litigation, case management work-up. Perry is a member of the Florida Bar, the American Association for Justice, the Florida Justice Association, and the Palm Beach County Justice Association. 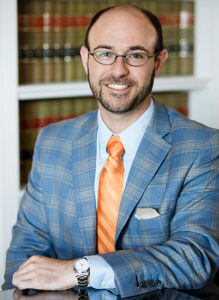 He is a member of the Palm Beach County Bar Association and serves as a Committee member of the Professionalism Committee (2015-2018) and the Circuit Civil Practice Committee (2017-2018). He is also the Secretary of the Young Lawyers' Section of the Palm Beach County Bar Association. Perry has been recognized by Florida SuperLawyers Magazine as a 2017 Personal Injury Rising Star. Only 2.5% of attorneys can be selected as a Rising Star. Perry's practice will continue to focus on personal injury and wrongful death matters. He represents victims of auto accidents, slip and falls, and defective products throughout the State of Florida. Murray Guari Trial Attorneys PL was founded in 2005. The firm is headquartered in West Palm Beach, Florida, at 1525 N. Flagler Drive, Suite 100. The attorneys can be contacted at (561) 366-9099. Additional information about Scott Perry (http://murrayguari.com/scott-perry/) or Murray Guari Trial Attorneys PL may be obtained from the firm's website at http://www.murrayguari.com.